The Speed Art Museum offers exclusive access to world class art from our permanent collection and exhibitions. The permanent collection spans 6,000 years of human creativity, brings art from around the world to all, and features a Kentucky gallery solely dedicated to the Bluegrass State. After a three-year, $60 million expansion and renovation, the Speed Art Museum reopened its doors to the public in 2016. Providing both convenience and fun through options like tours, curator talks, activities, gourmet boxed lunches, and more, the Speed is a can't miss opportunity. The Museum is conveniently located just minutes from numerous downtown attraction and the Kentucky Derby Museum at Churchill Downs. 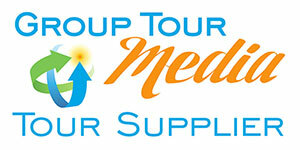 Group Rates: Varies with each tour. Deposit and Payment Policy: No deposit necessary. Payment due in advance. Cancellation and Refund Policy: $25 charge with less than 24 hours notice.